Lets be honest, mobile phones are fast becoming the most important of cameras in daily use but there is a fair bit of work to be done to improve their quality further. 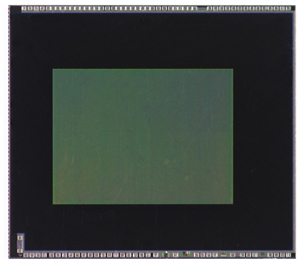 Don’t get me wrong, the iPhone 4 has changed things, possibly more for it popularity than anything else, but there is room for improvement and that is just what Toshiba are after with their announcement of a new 8MP Backlit CMOS sensor for phones. It will be interesting to see how it will compare to the current 8MP Exmor R Backlit CMOS in the latest Sony Ericsson Xperia offerings.